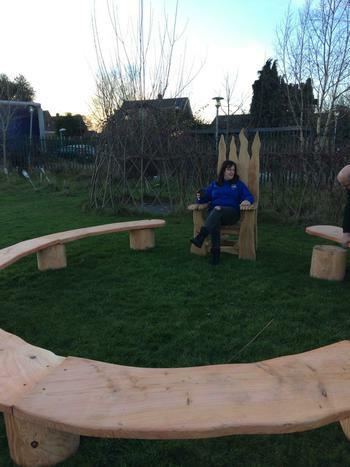 Our new benches and leader's chair arrived today and has been put in the Forest School area, by the new fire pit. Jackie, our trained Forest School leader, looks right at home! We are grateful to the National Lottery who have funded all of our forest schools work.